I'm in the mood on baking again. 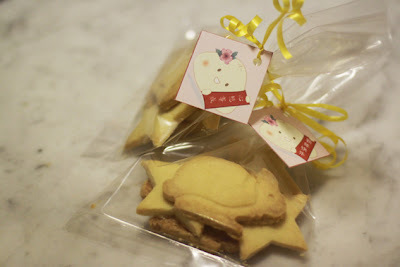 I've planned to make cookies for my friends & family as Chinese New Year gift. I chose the rabbit shape cutter because it's the year of Rabbit! I have never make any cookies before so I wasn't sure what I should be aware of. I've got Shortbread and butter cookie recipe from the internet and I thought it will be easy for me to make it! 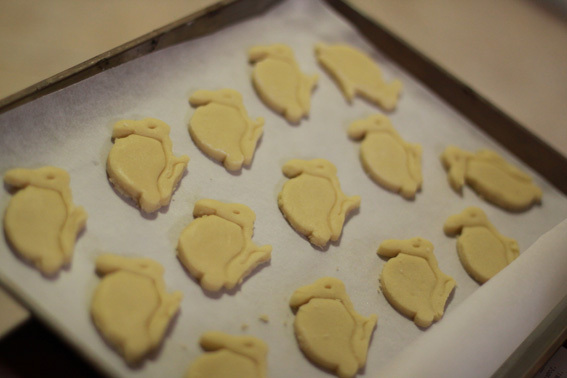 I chose to make the Shortbread first because it only need 3 ingredients! Butter, sugar and flour! Shockingly easy! I'm up for easy stuff ahahhaha because I'm afraid that I will stuffed it up. Anyway, I've started making it yesterday night at 11pm. The shortbread came out quite good! 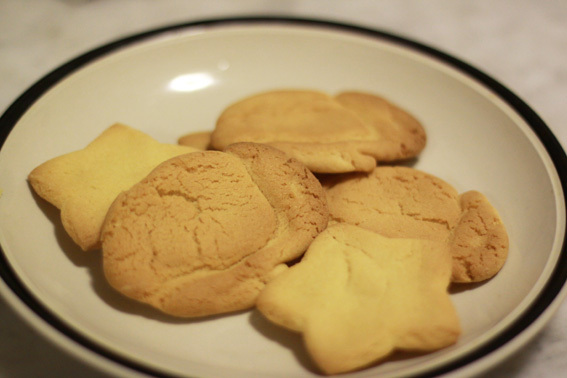 I was quite surprised how easy it is to make simple shortbread! Of course, it wasn't the best ones in the world, but at least my first batch of cookies was a success! The only problem that I encountered was the dough. It was quite easily break. It makes it difficult for me to work around. So, I make it today. The dough was way better than the shortbread ones. Nice and easy. 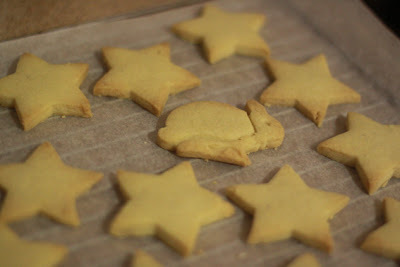 Used the rabbit cutter as well as the star ones too! Roll it, cut it and chuck it into the oven. 10minutes later, I went and checked my butter cookies and found out that my rabbits expended to double the size! OMG UGLY GIANT RABBITS!!!! NOOOOOO!!!!! My heart sank! I've learn something now. Butter cookies expands.. while shortbread won't. So, I'm sticking back to my shortbread recipe. Or maybe I will just make butter cookie in square shape. Is everybody ready for Chinese New Year?? I am ready! Can't wait to see my family in a week! YAY! How are u gonna carry them back home without crushing them wo?